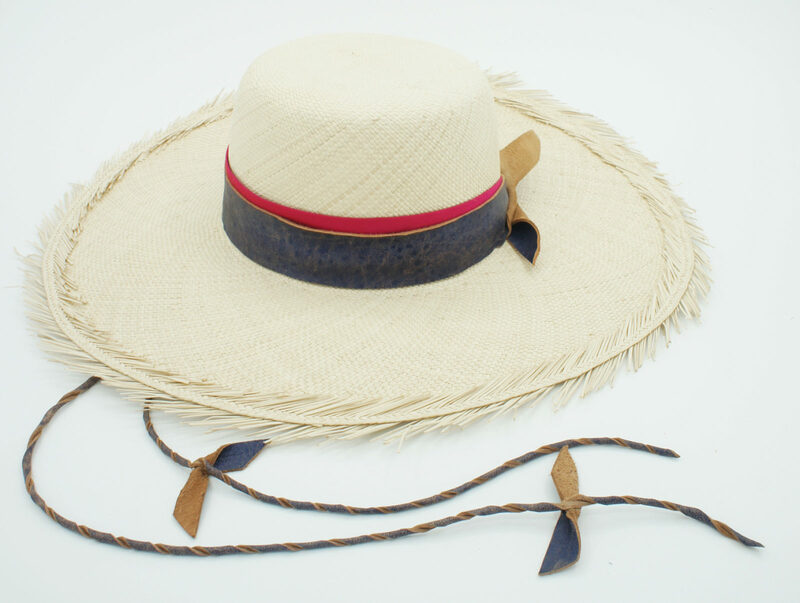 The Pasiflora style has been woven by Colombian artisans in Toquilla straw, using the traditional Copa Cuadrada crown shape with an unfinished brim edge, featuring the beauty of the weave in all the flat surfaces. 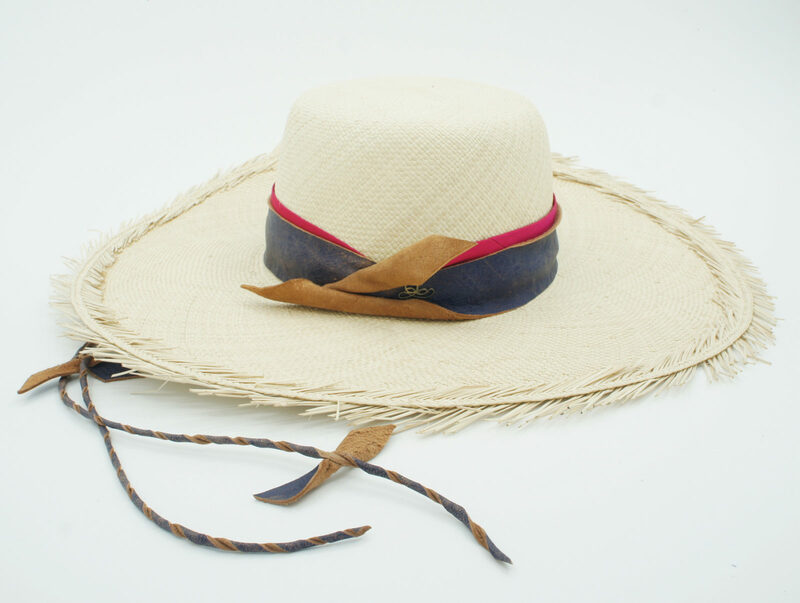 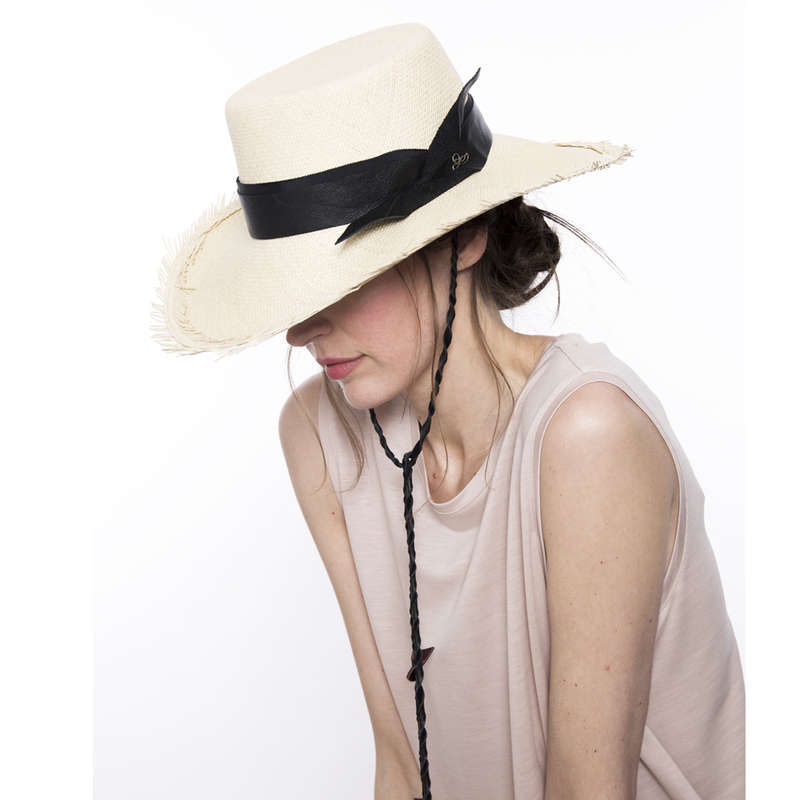 Adorned with a wide grosgrain ribbon and our finest leather, this trim evokes the majesty of the hummingbird’s flight as well as its infinity and continuity of the birds wings by adding two twisted leather cords for securing the hat on the head on windy summer days. 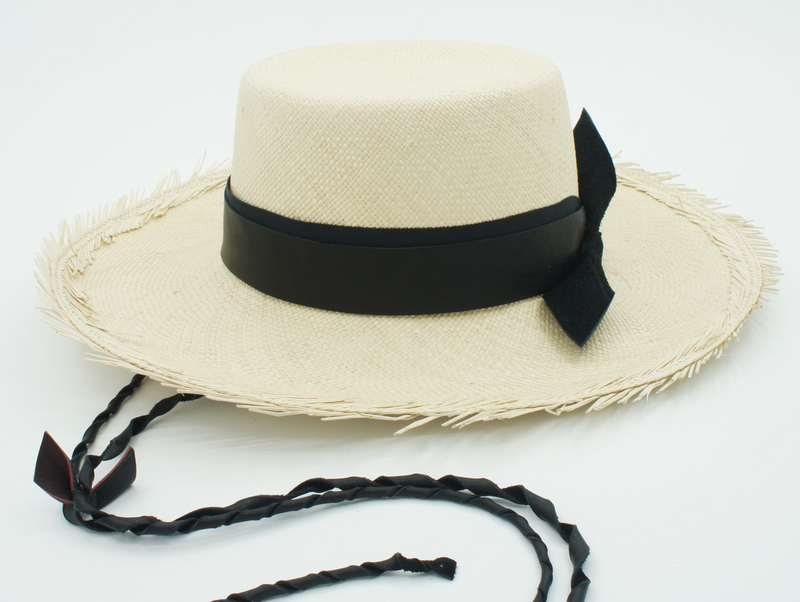 Mini leather birds adorn these beautiful strings.